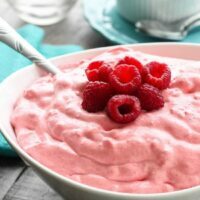 Raspberry Fluff Fruit Salad - Dessert Now, Dinner Later! 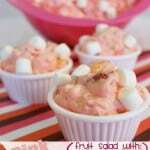 Raspberry Fluff Fruit Salad is the jello salad that everyone loves! 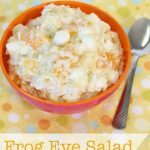 With only 4-ingredients and 5 minutes prep, this is the perfect sweet side dish for your next potluck, picnic, or BBQ! When I go to a potluck, it’s all about how much sides I can squeeze on my plate. 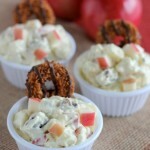 I’m a sucker for yummy salads and there’s always room on my plate for a jello fruit salad like this! I even have an orange fluff version. 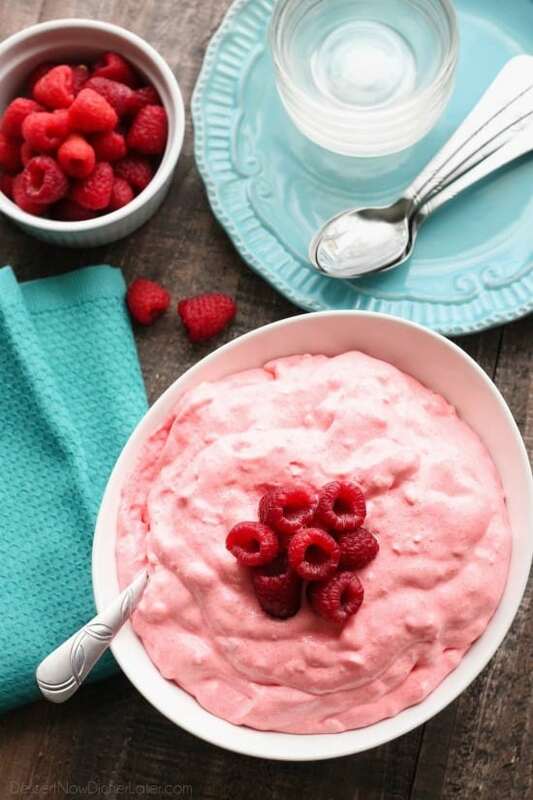 This Raspberry Fluff Fruit Salad is made with raspberries, cottage cheese (you either love it or you hate it — if you hate it, just walk away), whipped topping, and dry raspberry jello mix. It’s seriously 5 minutes prep work, if that. You can serve it right away. I kind of like to let it sit in the fridge for a couple of hours first, because it kind of tastes more airy/fluffy that way. 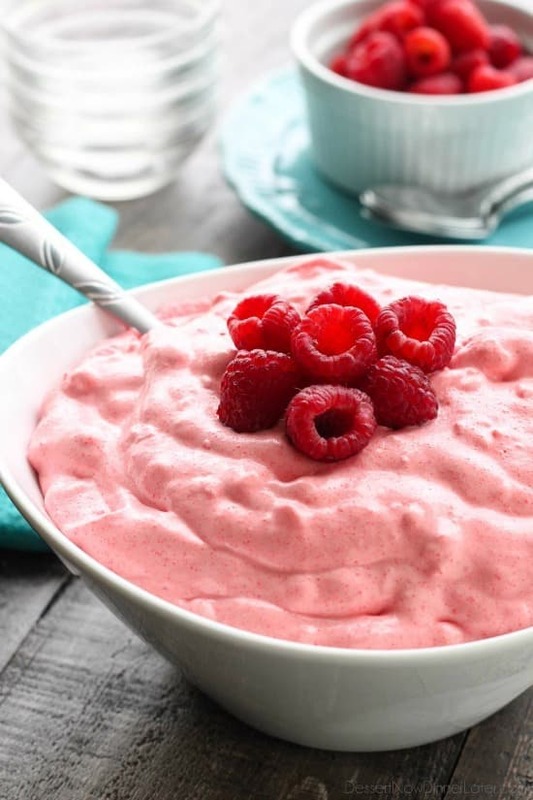 Another bonus is that you can use fresh or frozen berries and it won’t matter. Raspberries not in season? Frozen berries it is! I love raspberries and will take them any way I can get them! 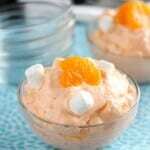 You can also spruce this up with shredded coconut, marshmallows, or more fruits if you want. It’s very versatile and SO good! 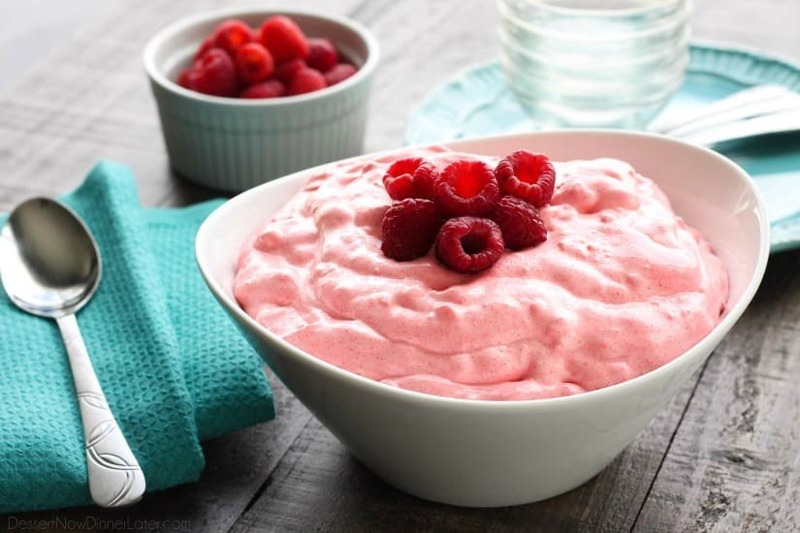 Thoroughly mix the cottage cheese, whipped topping, and dry gelatin powder together in a bowl. Gently fold in the berries (frozen, thawed, or fresh - depending on preference/season). Chill or serve immediately. Store in an airtight container in the refrigerator up to 7 days. *I prefer to chill this for 1-2 hours before eating. It tastes light and fluffy that way.